The Pittsburgh Penguins aren’t a franchise known for investing a lot in young players. 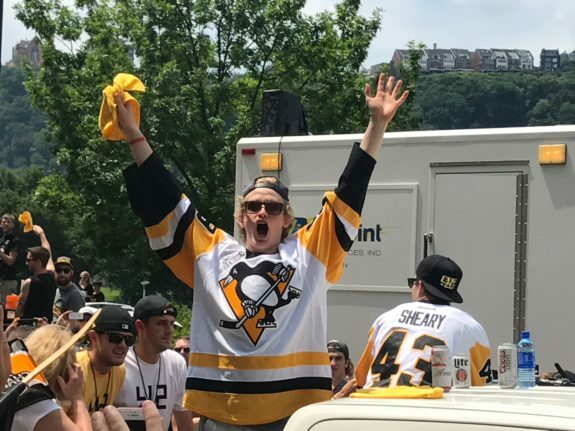 For heaven’s sake, they’ve picked once in the first round over the last five years, yet Pittsburgh has seen quite a few young players emerge onto the NHL scene and make significant impacts the last couple years. Without the contributors of Matt Murray, Jake Guentzel, Bryan Rust and Conor Sheary, the Penguins do not win back-to-back Stanley Cups. Pittsburgh has been able to find and develop young players without top selections in the draft. And they might be just getting started, as more young talent is on the way. Here are the Penguins’ top four prospects heading into the 2017-18 season. Before most Penguins fans even knew who Sheary or Guentzel were, Sprong made his NHL debut as an 18-year-old. He went 46th overall in the second round of the 2015 NHL draft and scored two goals in 18 games with the Penguins under Mike Johnson in 2015-16. The former Pittsburgh coach didn’t trust him, though, reportedly because of his inability to play away from the puck, and Sprong finished the season in the QMJHL. With the Charlottetown Islanders, though, he absolutely dominated. In 2015-16, he tallied 16 goals and 46 points in 33 games and then 15 more points in 12 playoff games. Sprong finished 2015-16 with the Wilkes-Barre/Scranton Penguins, and in the AHL playoffs scored five goals in 10 games. In fact, the Netherlands native was so good with Charlottetown in 2015-16 that, if not for offseason surgery last summer, there’s a very good chance Sprong would have been the guy starring alongside Sidney Crosby’s wing and not Guentzel. Instead, Sprong sat out until February and never received a chance to make the NHL roster because of his shoulder surgery. That did little to slow him down when he returned to the ice. 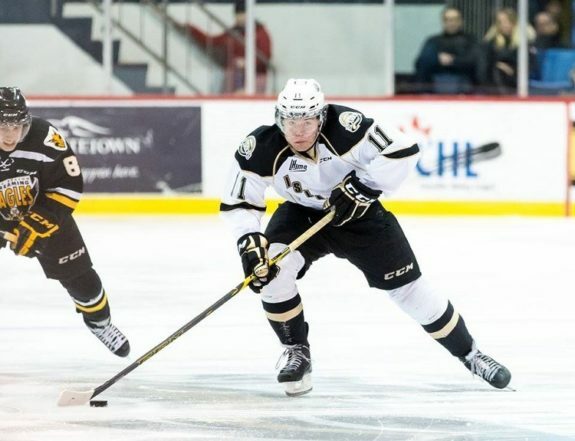 Including the playoffs, Sprong scored nearly a goal per game, recording 41 goals and 79 points over 43 contests in the QMJHL this past season. His defensive game and ability to play away from the puck took a huge step forward too. The 20-year-old posted a plus-32 rating, which was an incredible improvement after he earned a minus-10 rating in 45 total QMJHL games last season. As if the No. 1 offense needed more scoring, they’re about to get another weapon in the “absolutely electric” Sprong. NHL teams don’t need first-round selections when they’re able to sign college free agents such as Aston-Reese. The 22-year-old led the NCAA in scoring this past season, posting 31 goals and 63 points in just 38 games. After signing with the Penguins in March, he then got his feet wet in the AHL, scoring three goals and eight points over 10 contests with Wilkes-Barre/Scranton. Unlike Sprong, though, Aston-Reese brings a bit of nastiness to his game. He averaged nearly two penalty minutes per game this past season, registering 72 PIM in 38 games. Over his four years at Northeastern, the 22-year-old posted 182 penalty minutes in 145 contests. Aston-Reese should also give the Penguins some position flexibility. While Sprong appears destined to be a wing alongside Crosby or Evgeni Malkin one day (maybe as early as this coming fall), Aston-Reese can play center or right wing. 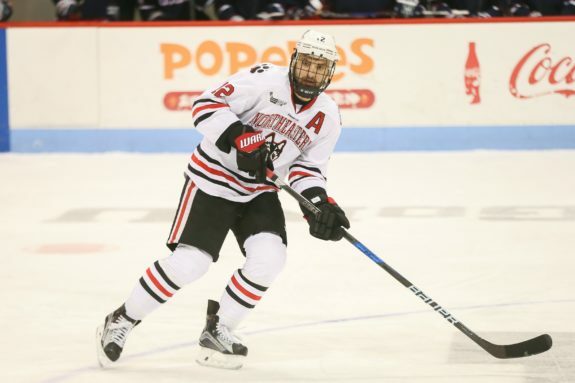 Depending on how the rest of the summer goes for Pittsburgh, it’s not inconceivable to think the Hobey Baker Trophy Finalist could be an answer to the Penguins’ third-line center hole. General manager Jim Rutherford has indicated that he believes Sprong and Aston-Reese will both begin this season in the minors, but there’s still a lot of reasons to believe these two young studs will be ready to play NHL minutes at some point early in 2018. Reason number one to believe that would be Pittsburgh’s willingness to depart with key veterans Nick Bonino and Chris Kunitz, along with the fact the Penguins haven’t traded for a third-line center yet. Rutherford is doing everything he can to ensure there will be room for Sprong and Aston-Reese if they earn NHL playing time. It may be a while until NHL fans see another goaltender win the Stanley Cup twice in his first two seasons, but Jarry isn’t far behind where Murray was in his development a couple years ago. Similar to the situation the Penguins find themselves in with their two young forwards, Pittsburgh is confident Jarry will be NHL ready as early as this fall, but if not then than definitely by next season. That’s why the Penguins somewhat surprisingly signed struggling veteran Antti Niemi. First off, he came very cheap at just $700,000 and agreed to a one-year contract. Niemi will provide Jarry some competition in training camp, and Pittsburgh some insurance in case the 22-year-old netminder isn’t NHL ready by the start of the season. One day, possibly very soon, Jarry will assume the backup role with the Penguins, and could even challenge Murray for playing time. Rutherford took a page out of the crosstown Steelers playbook when he selected Gustavsson at No. 55 overall of the second round in 2016. He was the best player available, so the Penguins took him despite having Murray, Jarry and Marc-Andre Fleury in the organization at the time. Gustavsson just turned 19 and is still playing in the SHL (Swedish Hockey League), so he remains a long-term project, but scouts say he has the quick reflexes and strong glove hand to be an NHL goaltender one day. 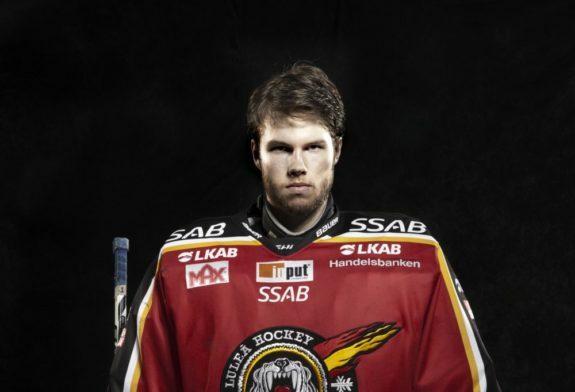 He recorded a 2.70 GAA and .912 save percentage in the SHL this past season. Jarry will be a restricted free agent next summer, and Murray will join him as a restricted free agent after the 2019-20 season. All signs point to Murray continuing to become one of the best goaltenders in the league, but if injuries or something else derail his career, Pittsburgh will have options in net. At the very least, Gustavsson appears ready to develop into a strong trade piece in the future.